Superfood powders are a great way to get extra nutrition when eating whole foods just aren’t enough. 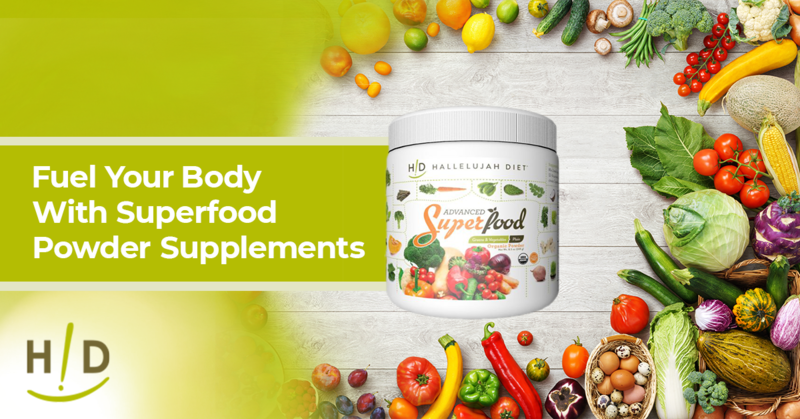 Hallelujah Diet Advanced Superfood powders are popular among those looking to boost their health and well-being — they’re tasty, reasonably priced, and help you get in all of the phytonutrients and antioxidants you need to be healthy. What are Superfood Powder Supplements? The Hallelujah Diet Organic Advanced Superfood powder is a carefully selected blend of over 30 organic ingredients, including grass juice powders, 15 different vegetables and 2 cruciferous vegetable sprouts. These supplements are superfoods that have been carefully dehydrated and pulverized, so they form a powder that’s easily incorporated into liquids. Digestive enzymes are included as well as prebiotic fibers to help you get the most out of this superfood product. And it’s so easy to mix up these drinks. Follow the instructions on the jar and scoop out the amount of powder you need into your choice of fluid. It can be something as healthy and probiotic as kombucha tea to plain water to various juices. 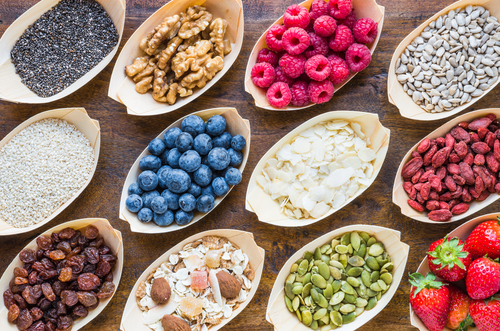 There are so many ways superfoods help you, It’s not only from the food itself, but all of the healthy phytonutrients and antioxidants within it. Our vegetable powders are correctly processed to make sure those phytonutrients and antioxidants are preserved. That way, you get everything out of them — just as God intended. It’s not just hype. Antioxidants, especially from antioxidant-rich superfoods, really do help with all sorts of problems, including heart disease. Heart disease includes everything from high blood pressure to high cholesterol and the hardening of the arteries as well as weakness problems like a weak heartbeat, weak breathing, and weak muscles. The superfood powders give you the vitamins and minerals to build healthy tissue, and the antioxidants to help reverse some of the damage done. These powders can even help you lose weight. Because you’re getting so much nutrition, your body is not going to crave as much junk. 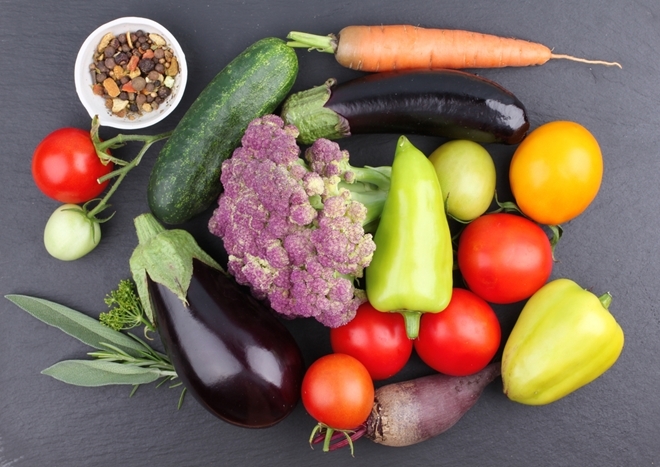 So, it makes it easier to choose healthy food and eat less. With all the extra vitamins and minerals in your system, you’ll also experience a boost in energy. Your metabolism will work better, you want to do more things, and you’ll feel good doing them. We recommend taking some of this energy and planning out a good exercise routine. Strike while the iron is hot! 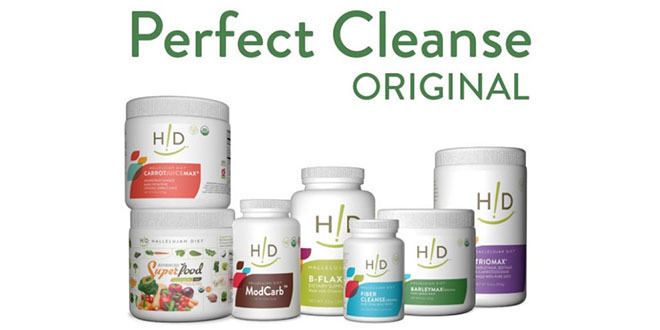 Hallelujah Diet’s organic superfood powders will also help improve your gut health. A healthy dose of prebiotic fiber, as acacia gum fiber and agave inulin, is included in our formula. These fibers help the beneficial bacteria in your gut thrive and increase their population. Digestive enzymes are also included to improve digestion. 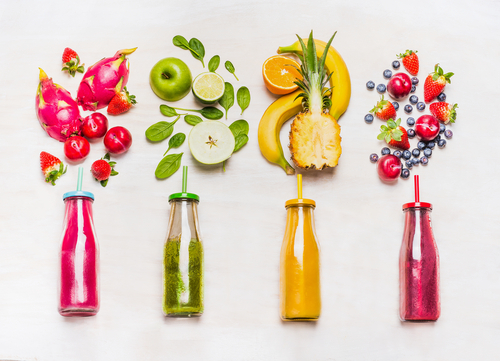 You can add superfood powders to probiotic drinks like kombucha for a dose of healthy probiotics that make a superfood powder even better. Surprisingly, all of these vitamins, nutrients, and antioxidants can help clear your head. Having the right vitamins and minerals, especially B vitamins, can make the neurotransmitters in your brain work better. This will help reduce depression and anxiety. It’ll also help clear out the brain fog caused by a poor diet. Some people have even recorded having their migraines and headaches relieved. When choosing supplements, a little research goes a long way. There are several different brands of superfood supplements out there, but not all are created equal. Hallelujah Diet’s are organic, gluten-free, non-GMO, and contain no refined sugars, so they rank high among picky supplement-takers. And you should always be picky about your supplements! Superfood powders are an excellent way of incorporating more vitamins, minerals, fruits, and vegetables into your diet. They can give you a boost of energy, better health, and improve your chances of weight loss and avoiding disease in the future. Could you please tell me if you have armaranth oil? What are the benefits it taking it? Thank you. Hallelujah Diet does not carry amaranth oil. They carry Flora flax oil, Flora Udo’s oil and fish oil. Are there any particular benefits you are seeking? Perhaps Hallelujah Diet has another product you would like. For example, Silica helps with skin, hair, nails, and joint flexibility. Do you have a supplement kit that will help in treating high blood counts ? I do not know any supplement specific to your question. The supplements HD carries are additional nourishment for the body. To learn more about the Hallelujah Diet, Click HERE. Hey guys…have you tried the new Muscadine Superfood? This berry is accessible through the fields in North and South Carolina. So good to know they have found a way to use the whole berry. So excited to add this to my daily routine and look for the results.